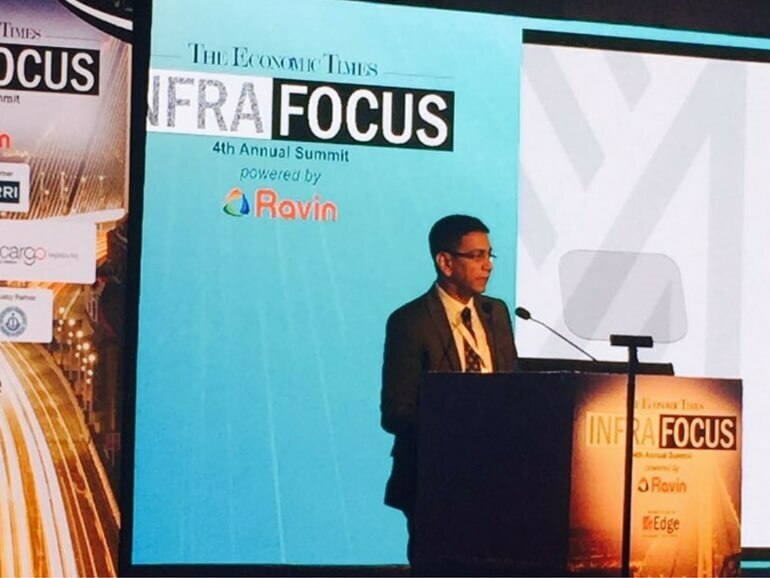 Maccaferri India’s MD, Mr. Vikramjiet Roy, was the Chairperson of the Round Table on “Green Technologies for Civil Engineering Solutions”, which took place at the 4th edition of The ET Infra-Focus Summit on September 26th, 2016, New Delhi. The Round Table brought attention to the importance of green technologies to support the sustainable development of Indian infrastructure. During the Round Table, the discussion focused on how green technologies can help maintain a balance between infrastructure demand and ecological needs and aspirations. Vikramjiet Roy addressed the issue of sustainability in developing countries in India, in particular, where green innovations are key to overcoming the challenges of growth and improving the future of civil engineering infrastructure. He said state-of-the-art technologies and materials should be adopted to save energy and foster long-lasting sustainable structures. Long-term goals should be targeted at the very initial stage of development projects, aiming for innovative solutions. Among the suggestions to make infrastructure greener and more cost-effective, the speakers of the Round Table proposed to include: carbon credits criteria in their projects; improve current manufacturing standards with an optimal use of recycled or alternative materials; create awareness of green technology by introducing it at college level as a mainstream discipline; cost optimization to make adoption easier. Maccaferri is at the forefront of green technology within civil engineering construction. Having completed more than 1,000 structures in India, Maccaferri is well-known for its sustainable and cost-effective civil engineering solutions in several fields such as disaster mitigation, erosion control, retaining walls and soil reinforcement, stabilization of slopes, roads and landfills, rockfall protection, coastal and river control works. The construction of a 74m high reinforced soil retaining wall for Sikkim airport – one of the world’s tallest reinforced soil structures – is a perfect example of Maccaferri’s green technologies. In fact, the project followed a ‘cut and fill’ approach and recycled in situ materials to restore the existing ecosystem. Aditya Birla Hindalco-Muri is another example of recycling waste material. In this project, Red mud (a byproduct of aluminum production) was used as backfill soil for the reinforced soil structure constructed for capacity augmentation. Maccaferri is playing a key role in the creation of world-class infrastructure in India with its innovative approach and mission striving for engineering a better solution.